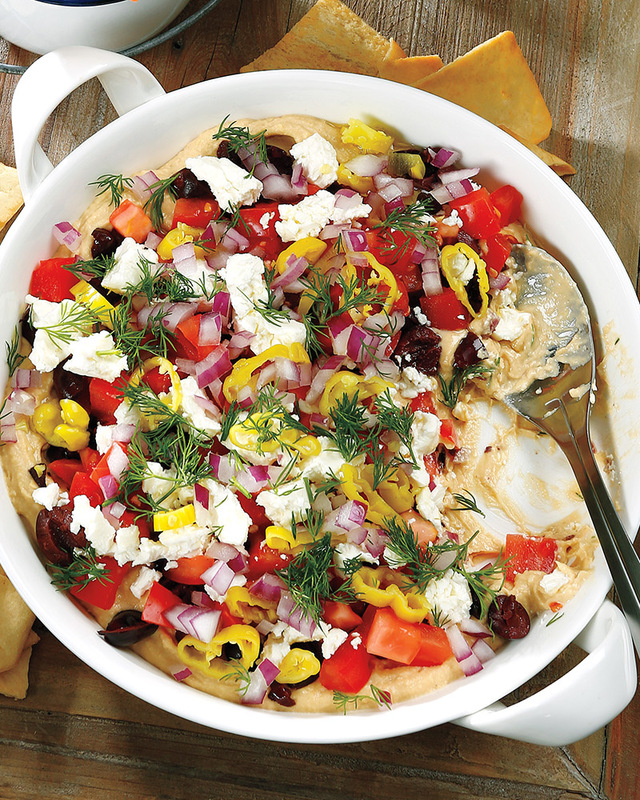 1.In 2-quart serving dish or pie plate, layer hummus, olives, tomatoes, cheese, pepperoncini, onion and dill; drizzle with oil. Serve with pita bread, crackers and/or carrot and cucumber sticks. Makes about 4-1/2 cups. Dip can be prepared, covered and refrigerated up to 4 hours. Drizzle with oil just before serving. > Use well drained low-fat cottage cheese as an alternative to feta cheese.